The UV-A Meter uses a series of LED lights to measure UVA light, which is invisible to the human eye. The condition and quality of the UV output of the existing tubes in a fly trap, showing whether they are working at peak performance, in need of replacement or beyond useful life. This is particularly important as not all manufacturers’ UV tubes maintain adequate performance throughout their one year life and some shatterproof tube coatings will significantly reduce UVA output. Can be used as an effective and valuable tool to measure and assess the amount of ambient UV light. The UV-A Meter can be used to locate the best position for siting of a new UV fly trap. 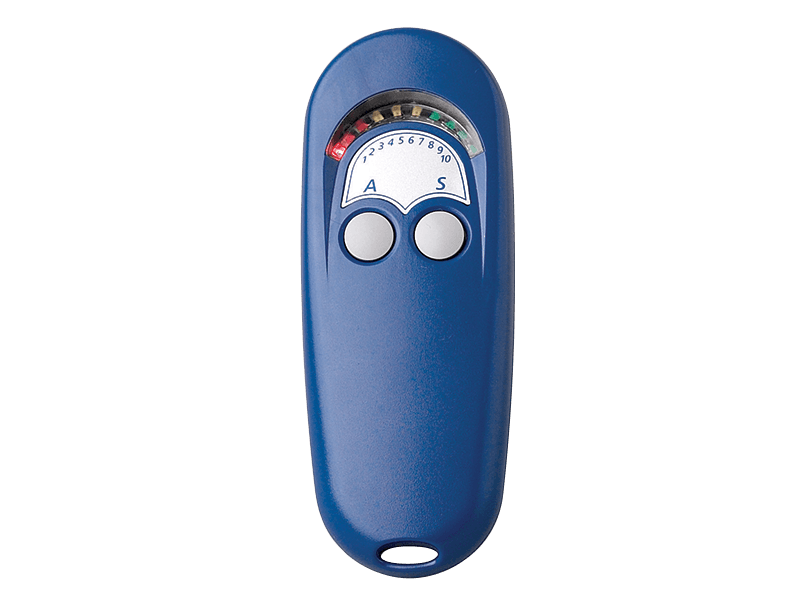 The sturdily constructed UV-A Meter is designed with the user in mind. The size of a mobile phone, it can be carried around conveniently and also has a lanyard facility for ease of use when in awkward situations e.g. at the top of ladders.